I have had a number of contributions that I need to post. 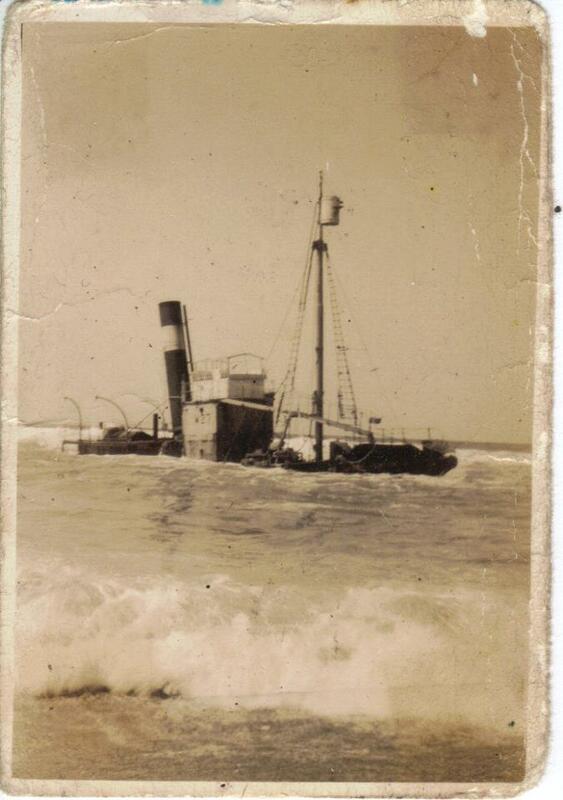 Chris Allen sent in some wonderful pictures, including one of a whaling vessel aground. Chris’s email says that the vessel was named Addington and is aground on the beach named after it. If anything, I think the reverse must be true, because whaling didn’t begin in Durban until 1909 which is, as far as I know, after the beach (and hospital) was named. The second picture is of the completed Vetch’s Pier, which looks uncannily like the marina which has been proposed for the same area. One has to hope that, if the marina is ever built, it doesn’t share the fate of Vetch’s Pier!! Such fun remembering with the “watering holes of my youth” by David Baird. The larney pub at the back of Elangeni Hotel was called “Tall Ships”, my sister worked there … Also “Ruby Tuesdays” opened for a while at the side of the Beach Hotel and the “Exchange Bar” was at the back of the Royal Hotel, many a happy cocktail hour was spent there after work. Lastly, “Whispers” opened for a while at 320 West Street, quite the spot! Keep up the good work, keeps the grey brain cells up and running – one more thing, the “cherries” were also known to fall about like skittles in an earthquake!!! “I’ve recently discovered your website and some of the many articles – especially those relating to shipping in the 1950/60’s – have been a source of great pleasure and a reminder of many happy memories – and for this I thank you. Later, still with Ellermans, I served on three of their four passenger vessels sailing between Europe and South Africa as 3rd Mate on the MV “City of Port Elizabeth from May 1955, Junior 2nd Mate the MV “City of York” from June ‘57 and Senior 2nd Mate on the MV “City of Durban” from February thru to December ‘61. I vividly recall laying alongside in Capetown one amazingly clear night in October ’57 watching Sputnik cruise amongst the stars over Table Mountain whilst listening to it’s sinister chirp on the ship’s radio loudspeakers. In their day these ships were considered to be quite luxurious and especially popular with South African and Rhodesian passengers enjoying the coastal voyage from Cape Town to Port Elizabeth, East London, Durban, Lourenco Marques, Beira and then back south down the coast again. Durban was always the favourite port because we berthed there for several days both north and southbound and literally handed the vessel over to the care of the agent and stevedores, which allowed great opportunities for socialising ashore with the many friends – often ex passengers from previous voyages. Golf at Durban Country Club and weekend horse racing were favourite past-times and the night life dancing (?) away to “La Bamba” etc played by a wildly exotic Italian Group (can’t recall the venue) enhanced Durban’s many attractions! There was always great rivalry between the various passenger shipping lines – Union Castle, British India Steamship, Lauro etc., and others in this trade. Ellerman’s MV “City of Durban” once scored a notable triumph when the runner-up’s prize in the Miss South Africa competition – an exceptionally beautiful girl (sadly – I can’t remember her name – would there be any record in local news archives ?) joined the ship in Durban for the round-trip north to LM and Beira and back to Durban where of course all concerned at Ellerman’s behest had a field day publicising the event in the local shipping and social press. Think she came from either Pietermaritzburg or Bloemfontein and was accompanied on board at all times by a formidable chaperone and to protect her charge, captivated the Master who issued dire threats to all on board – lest they forget that she was a guest of the company. I believe the winner’s prize was a trip to Paris to compete in the Miss World contest. Although involved in shipping projects in both East and West Africa in the 1970/80’s – unfortunately I never had the good fortune to return to South Africa. but am always consoled by the memory of an especially good friend with whom I shared many adventures – a great character (a son of Perla, your famous Lady in White), one Richard Siedle, who for several decades continued to successfully promote his prominent family lineage in shipping circles both in Durban and elsewhere around the world and who I trust remains in good health and has not yet “crossed the bar” ! Does anyone know if Richard Siedle is still around? 2). Like wise, runner up to – Miss South Africa – who cruised the coast on the “City of Durban” etc – see above ! No luck who the runner up to Miss South Africa 1961 was. Is that the correct year you are looking for? With regards to Richard Siedle. I have a book which gives thumbnail biographies of various Natal women. Included is Perla Siedle Gibson, the Lady in White. It states that in 1917 she married Jack Gibson. There were three children from this marriage Roy, Barrie and Joy. Her son Major Roy Gibson was killed in Italy in 1944. There is no mention of Richard. Is there a reason why Richard’s surname is not Gibson? To answer the Richard Siedle questions. I think he passed away a few years ago and he is the son of Ivan Julian Siedle (Jack Siedle the Bok cricketer). This post is some time ago, so I hope it’s not to late for you to receive this. I happened to stumble on this thread ( discussion ) while searching some siedle history and felt it needed a reply. I am Richard Siedle’s son, and am happy to tell you he’s very much alive. My humblest appologies. I dont know where I got info that Richard was late. My appologies again. Could this whale catcher be the ‘Odd’ – as there was a wrecked whaler of that name between the old N Pier and Vetch`s – which I dived on a few times. Was it removed during the new pier saga?